Brendon Paul Bracewell is a former New Zealand Test cricketer. Born in Auckland, he is the younger brother of John Bracewell. He was educated at Tauranga Boys' College and was in the 1st XI from 1974 to 1978. He frequently suffered injuries throughout his playing career. Bracewell also played rugby for King Country. At present he operates Bracewell Cricket Academy, a private cricket coaching academy based in Napier. Douglas William Bracewell is a former New Zealand cricketer who had a brief first-class career for Central Districts and then Canterbury from 1973 until 1980. A right-arm off-break bowler, and lower-order batsman, Bracewell came from a cricketing family, with brothers John and Brendon, and nephew Doug playing Test and One Day International cricket for New Zealand. Another brother Mark and a nephew Michael also played first class cricket. Mark Andrew Bracewell is a first class cricketer. Born on 8 October 1955 in Auckland he played one first-class match for Otago in 1977/78 and one List A one-day game in 1979/80. A right arm medium bowler and right-handed batsman, he achieved little of note in either appearance but is part of a well known New Zealand cricketing family with three brothers and a son who also played first class cricket. The Auckland Aces represent the Auckland region and are one of six New Zealand domestic first class cricket teams. Governed by the Auckland Cricket Association they are the most successful side having won 28 Plunket Shield titles, ten Ford Trophy championships and the Super Smash four times. The side currently play their home games at Eden Park Outer Oval. The Otago cricket team are a New Zealand first class cricket team formed in 1864 representing the Otago, Southland and North Otago regions. Their main governing board is the Otago Cricket Association which is one of six major associations that make up New Zealand Cricket. Bracewell's approach to team selection has fallen under scrutiny during the 2006/2007 season. Despite levelling the home series with Sri Lanka two-all, New Zealand's top order batting has consistently displayed frailty, and this was most apparent after New Zealand compiled a dismal team total of 73 in one ODI during that series. Moreover, Bracewell has opted for a "rotation" policy within his squad for determining team selections, meaning the batting line-up has been shuffled consistently between successive ODIs. This has received criticism from local media who highlight that New Zealand Cricket is not currently afforded the luxury of a reserve pool of competitive international players, thus making the policy somewhat redundant. Shaun William Tait is a former Australian cricketer. Tait played in the Big Bash League for the Hobart Hurricanes and has represented Australia at Twenty20 International level; he has also represented his country in One Day Internationals and Test matches. He is a right arm fast bowler. Tait has won four different awards throughout his career including the Bradman Young Cricketer of the Year in 2004. Tait retired from One Day International cricket on 28 March 2011, following Australia's early exit from the 2011 Cricket World Cup. In March 2017, Tait announced his retirement from all forms of cricket. Stephen Paul Fleming, ONZM is a New Zealand cricket coach and former cricketer, and captain of the New Zealand national cricket team in all three formats of the game. Grant William Flower is a former Zimbabwean cricketer and a former ODI captain, who played Tests and ODIs. He is rated among the best Zimbabwean cricketers in history for his handy left arm spin and fine batting skills. He was a fitness fanatic who spends hours in the gym, and was also regarded as a brilliant fielder who was usually seen in the gully. "Flower Power", the combination of Grant and his brother Andy Flower, was the mainstay of Zimbabwean batting for a decade. He was his team's most successful opening batsman who played the role of anchorman, with strokeplayers coming in down the order. Chris Zinzan Harris is a former New Zealand cricketer who became, over the course of the 1990s, a folk-hero in New Zealand cricket. Paul David Collingwood MBE is a former English cricketer, having played all three formats of the game internationally for England. Collingwood played for Durham County Cricket Club and was the 2010 ICC World Twenty20 winning captain. He was a regular member of the England Test side and captain of the One Day International (ODI) team (2007–2008). He is the first T20I cap for England. Brendon Barrie "Baz" McCullum, is a former New Zealand international cricketer, who played all formats, and also a former captain in all forms. McCullum took quick scoring to Test matches as well, notably recording the fastest test century of all time. He is considered as one of the most successful batsmen and captains of New Zealand cricket. Don Sardha Brendon Priyantha Kuruppu is a former Sri Lankan wicket-keeper and opening batsman. He was often played in ODIs, as he played 54 from 1983 to 1990, but his Test career was largely unremarkable but for one productive innings in Colombo that he scored 201 to be the first Test century as well as double century scored on debut for Sri Lanka. Chamunorwa Justice "Chamu" Chibhabha is a Zimbabwean cricketer who bats right-handed and bowls right-arm medium pace. He was born in Masvingo along with two of his three siblings. Sister Julia was born in Bulawayo. Timothy Thomas Bresnan is an English first-class cricketer. He is a fast-medium bowler, as well as being respected for his ability with the bat for Yorkshire. Douglas Andrew John Bracewell is an international New Zealand cricketer who currently plays for Central Districts. He is a right-hand batsman and bowls right-arm fast-medium pace. He is the son of former Test cricketer Brendon Bracewell. His uncle is also a former Black Caps player and coach John Bracewell. Thomas William Maxwell Latham, known as Tom Latham, is a New Zealand cricketer, who represents New Zealand in all formats of the game and has captained them in One-Day International cricket. He is primarily a batsman who has also acted as wicket-keeper. Playing for Canterbury, he made his first-class cricket debut against Central Districts in 2010 in the Plunket Shield. He was selected for the One-Day International series against Zimbabwe in 2012 and made his ODI debut on 3 February 2012. 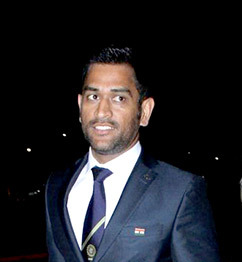 He made his Test match debut against India in February 2014. The Australian cricket team toured New Zealand from 3 to 24 February 2016. Originally the tour was going to consist of three Test matches. 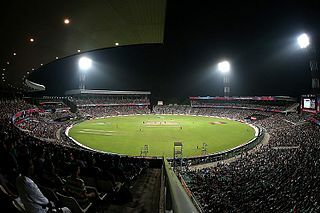 In June 2015, New Zealand Cricket were in talks with Cricket Australia to have a tour consisting of two Tests and three One Day Internationals (ODIs). In August 2015, the fixtures were announced which contained the reduction of Tests from three to two and the addition of the three ODIs. 1 2 3 4 Smyth, Rob (January 2009). "Player Profile: John Bracewell". CricInfo. Retrieved 2009-10-14. ↑ Basevi, Travis; George Binoy (14 October 2009). "Fifty-three ODIs without a fifty or a three-for". CricInfo. Retrieved 2009-10-14. ↑ "Statistics / Statsguru / JG Bracewell / Test matches". CricInfo. Retrieved 2009-10-14. ↑ "Records | One-Day Internationals | Fielding records | Most catches by a substitute in an innings | ESPN Cricinfo". Cricinfo. Retrieved 2017-02-17. ↑ "Braces apologises for Gilchrist rumour". The Sydney Morning Herald . Retrieved 7 October 2011.